Onboard Air India One, Jan 16: Prime Minister Dr. Manmohan Singh told the media accompanying him on his visit to China that the Delimitation Commission has completed its exercise in 25 states. Briefing the media onboard Air India One, Singh said that of these 25 states, Jharkhand was being given a go-by as far as the delimitation process was concerned because several political parties have complained that the process might create more tension as the number of tribal seats would be reduced. He said that the state of Jharkhand was created (in 2001-02) to help tribals, and if tribal representation was reduced as a result of the delimitation process, there could be electoral setbacks at the Assembly and Parliamentary level. “We have to find ways and the means so that Jharkhand can go to the polls on the basis of existing delimitation. For the other 24 states, the intention is that the delimitation proposed by the Delimitation Commission, will form the basis of the next parliamentary elections,” he said. In so far as the north-eastern states were concerned, Dr. Singh said the delimitation exercise had not taken place in states like Assam, Manipur, Arunachal Pradesh and Nagaland, as there were problems in spite of court injunctions being lifted. “We felt that delimitation need not be pursued. So, elections will take place there on the basis of existing delimitation,” the Prime Minister said. As far as polls in President-ruled Karnataka was concerned, Dr. Singh said that he was not sure about whether they would be held, but added that parliamentary elections will take place in all the 24 states on the basis of revised delimitation as completed and as placed on the table of the House. 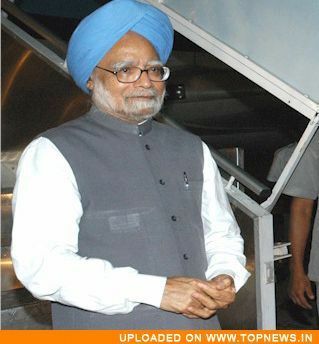 On whether general elections would take place in 2008 and 2009, Dr. Singh said that he was not an astrologer, but sincerely hoped that his government would be given the chance to complete its full five-year term. When asked that with relations with China improving beyond expectation, he expected a similar bonhomie with the Left parties at home, a smiling Prime Minister said: “That you should ask the Left”. When asked whether he would brief the Left about the outcomes of the China visit, he said: “I do it all the time”. When queried about the impending Cabinet reshuffle, he said whenever there is one, the media would hear about it. From a domestic economy point of view, Dr. Singh said that India had much to learn from China, which has become the world’s “manufacturing workshop”. “It is a phenomenal story of what development should be about. Also, the way they have handled problems of poverty alleviation, the way they have handled the whole issue of migration from rural areas to urban areas. Today, nearly 40 percent of the Chinese population is living in urban areas. Chinese achievements are remarkable. There is a lot we can,” Dr. Singh said.